Exclusive! This is your jacket for the season! 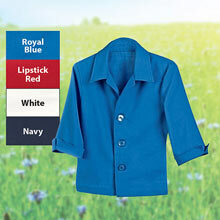 Layer it over a sundress, wear it with skirts or jeans. 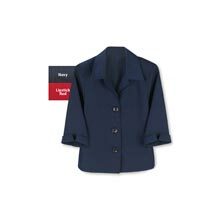 Breezy Versatile Cropped Jacket in viscose crepe with three-quarter length sleeves, notched cuffs, bold buttons, pretty collar. Machine wash. Imported. Misses, 23"l. Hurry! Quantities are limited!